Dime-a-dozen ideas for reforming education seem to be everywhere these days but few actually transform the everyday experience of the 50-million-plus students who are regularly subjected to traditional lecturing, note-taking, and rote learning--often with dismal results. 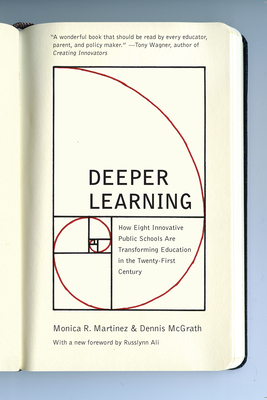 Enter Deeper Learning, "a fast read that] will interest educators who want to produce self-motivated, passionate learners" (Library Journal). Offering "uplifting" (Kirkus Reviews) anecdotes in what Tom Carroll of the National Commission on Teaching and America's Future calls a "rare blend of inspiration and practical action," Deeper Learning provides a blueprint for creating flexible environments that put students at the helm of their own collaborative learning experience. This paperback edition includes a new foreword by renowned education advocate Russlynn Ali and will empower and inspire educators everywhere to address the need for schools to be genuinely innovative.